Executive Director: Neil McNab, Jr.
Neil played through the Manchester City youth system from 1994-98. Moved to Portsmouth F.C. in the summer of 1998 and turned professional at Portsmouth in November 1998 where he played until 2001. In April 2001 Neil moved to the USA and during a 4 year span played professionally for the Utah Blittz, Long Island Rough Riders, Syracuse Salty Dogs and the Wilmington Hammerheads until winter 2004. Neil was part of two USL National Championship teams with the Utah Blitzz, and Long Island Rough Riders respectively. Neil coached at various youth programs throughout the U.S. from 2001-2004. In the winter of 2004 Neil started coaching for TYSA (Tucker Youth Soccer Association) where he became Assistant Director of coaching in 2005-2008. Neil joined CFC in June 2008 where he now serves as Executive Director for Chiefs Futbol Club. Neil holds the USSF A, UEFA C coaching licenses, the NSCAA Director of Coaching Diploma, and the USSF Grassroots Instructor License. From 1992-1999 Matt played professionally for Birmingham City FC, Kettering Town FC, and Belper Town FC. From 1995-99 Matt represented the youth regional and national levels with Nottinghamshire FA and English Schools Football Associations as well as the British Universities & Colleges of Sport. Matt relocated to the United States to attend Methodist University (MU) in North Carolina and graduated with a BA. in Sports Management in 2004. From 2005-2008 Matt served in Huntsville as Men’s Assistant at UAH, UAB Residential Camps, AL ODP, DOC Huntsville FC and Randolph where he lead his teams to back to back state championships, one state runner-up/finalist and three region championships. For his efforts Matt is a three-time AL State Coach of Year and received one National Federation of State High School Associations Coach of Year Award (NFHS). 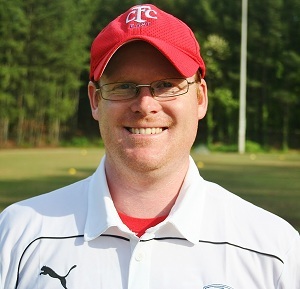 In Spring 2008, Matt relocated to Atlanta to work with Ted MacDougall and Paul Smith and the Silverbacks Elite Youth followed by a position as Academy Director with Atlanta Spurs FC in 2009-2011. In Fall 2008, Matt was hired by Woodward Academy leading his teams to four state final appearances, one state championship, three state finalist/runner-ups, and five region championships. Matt was awarded NSCAA Coach of Year in 2010 and GA Coach of Year in 2010 and 2014. Matt was hired by Chris Adams in the women’s professional game with the USL W-League Atlanta Silverbacks served as assistant coach in 2012 and in 2014. From 2012-2016 Matt coached in the GSA ECNL program at that time the nation’s highest level of play for female youth soccer. Matt coached 99's as high as 20th in the ECNL National Rankings, 2012 & 2014 top four finishes in ECNL southeast conference, 2015 runner-up in ECNL southeast conference, won the ECNL National Event in FL going 3-0, and qualified for the ECNL National Championships three consecutive years. His contribution to the 99 ECNL Team graduated multiple players to the next level and on to state, regional and national playing honors. Matt successfully coached the 02 Red Athena Team to a 2014 Athena B Division Championship (promotion to Athena A), 2014 Vulcan Cup Championship, 2015 Athena A Runner-up (fall), 2015, 2016 Adidas Cup Champions, and a 2016 Athena A Division Championship (spring) promoting the team to RPL. In Fall 2017, Matt worked at Inter Atlanta, coached the 01G to NASA Classic Champions, 2nd place in RPL gaining promotion to SRPL, coached 99B 4th place finish in SRPL Premier Division - Red. Matt is on staff for Georgia Soccer in the Olympic Development Program developing state, and regional players. He serves as the 2005 Girls ODP Head Coach and oversees a pool of 40 players. Matt holds the following Licenses USSF B, USSF National Youth, NSCAA Advanced National, Coerver Coaching Youth, BA Sports Management, AD, VAI Diploma in Sports Therapy AD, BTEC National Diploma in Sport Science, FA Online Psychology for Soccer Level I, FA Intermediate Treatment & Management of Sports Injuries, Positive Coaching Alliance Certificate and Bigger Faster Stronger Fitness Diploma. Steve played his club soccer in Georgia with DDY and TYSA. He played for Tucker High School before playing club soccer at Florida State University. Steve began coaching in 1995 and has coached for over 20 years rarely taking time away from coaching. In 2016 Steve was honored to receive 3 Awards: Georgia Recreational Coach of the Year, Region 3 Recreational Coach of the Year, and US Youth Soccer National Recreational Coach of the Year. Steve joined the Chiefs staff in the Spring of 2016 after coaching several years in the Recreational program. Steve currently holds his USSF E License and is working towards his D License. Spenser played his club career in Georgia and moved on to play College Soccer at Georgia State University. Spenser joined the Chiefs FC Coaching team in 2011 as a member of our After School Soccer Club staff and has since moved into our Academy and Select programs. Spenser holds the USSF C License.